I was playing my lotto numbers last night and couldn’t believe what was happening right before my eyes. I saw a man with half his face covered and knew when he looked around with crazed eyes that he wasn’t a late Trick or Treater. I watched him pull out a crumbled up black plastic bag, all in slow-motion, then came out the long revolver from his waistline. I was frozen but knew enough to not make a sudden moves. I avoided staring too intently as other customers came into the corner store of a busy variety store at 7 pm that the robber kept ordering to “get on that side”, gesturing with a big gun in the air towards me. I kept my eyes on the gun he kept waiving but as 2, then 3 others “joined the party” I inched down the aisle, now with very little of my body in direct view. I also limited my target area but standing with my left shoulder pointed towards him, shifting from having my chest/heart exposed. I’m pretty street smart and seen enough movies to know what was happening immediately but was still shaken. It’s crazy how you don’t know what you would do in a situation like that until you actually are. I also read this robber’s body language and sensed he didn’t want to actually hurt anyone, he was just a drug addict and his relative and absolute deprivation drove him to these desperate measures. Identifying areas where crime is rising, and targeting these locations would improve the quality of life in communities ravaged by drug use. Drug pushers use dimly lit, not monitored streets as territories where drug addicts buy and take drugs. Both affect the other members of the communities and the communities adversely. So to begin curbing the escalation of a declining way of life, and reversing the unfavorable living conditions of some neighborhoods a good place to start would be to recognize which ones are underdeveloped. This store is a busy store, with several cameras but she was the only one working. And the adjacent block is dark. Addressing neglected areas and making a comparison to “what works” – better and safer schools, easily accessible and safe commuting, police presence, affordable housing, etc. 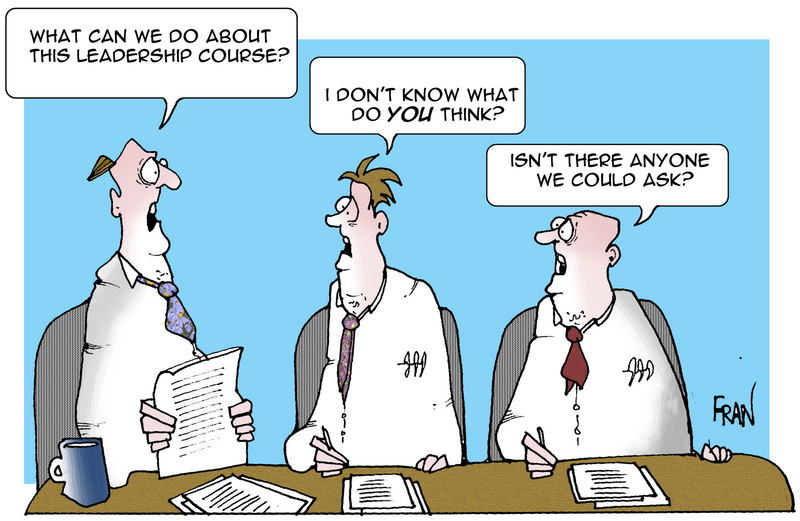 all would start at the local district level of governing bodies. Parents of children who are worried about their local playground being used by adults shouldn’t be subjected to seeing drug sales and paraphernalia. By taking initiative towards wanting better communities, and knowing the importance of having an enriching environment, I would suggest parents and teachers discussing concerns at parent-teacher conferences. This would allow an open forum where children, parents, and educators, and the learning community connect. But it all begins with a public announcement. Education is always vital, as in most cases a lack of education is a prime ingredient for poor families, and poverty stricken communities. But also awareness helps educate those that are not aware of the consequences not making education the most important factor in their lives can cause. The theory of relative deprivation studies quality of life issues. Following social media and seeing the glamorous lives the affluent can live could prompt someone to want to live outside of their means, following an “in crowd”, could lead to drug use, and cause debt, and certainly creates a desire to acquire more and more material possessions. “Create enough hunger and everyone becomes a criminal” (Batman Begins), enough to steal or even kill for. And people will manipulate whole systems to reap the benefits from programs and use funds disproportionately. Some people are just misguided or oblivious to how their actions hurt others, physically and/or emotionally – but all affect each other financially. Many behaviors are learnt behaviors, and children have the tendency and capacity to act out what they see. Because some communities aren’t as safe as others I believe through education, and better/equal laws, and their enforcement, more can be done to keep communities tightly knit and better served. As we learned about the bystander effect theory people avoid perspective problems because everyone is apart of their respective communities and a part from the one they are reluctantly and temporarily included in. Some people are just “passing by” and prefer to go unnoticed. But sometimes that disconnect is blatant. In my opinion, the way to help communities and people at large, is to promote a greater understanding of how important respecting people, all people in general, is. Everyone is someone’s father or mother, daughter or son, brother or sister. It isn’t a matter of promoting one group’s or person’s security over another, choosing which communities continue to develop and which one are stagnant and lacking. It is clear how some groups and members of a community need more assistance. Drug counseling in schools, drug programs for addicts, advertising free counseling and offering assistance through various non-profit groups, churches and places of worships offering nonjudgmental fellowship, etc. all would do their part of providing more literature, and more education to illustrate the damages of what drugs do to families, communities, and every individual’s life individually outside of the lives he/she influences. There are certain actions that can not be tolerated in societies, like discrimination and racism – both create division and fuel hatred. But there is also a racism within social classes that should be addressed as well. I believe better programs can be created to help the impoverished and homeless, the elderly, abused and neglected children, the sick, children in public schools, drug addicts, and stiffer laws towards drug dealers and violent offenders. Adequate signage and properly monitored areas can also serve as deterrents to prevent future crime. The general consensus can be taken quarterly at various facilities, with numerous inventories, to take the climate of how people are feeling about the communities they belong to. There is a believe that people are generally good but we are also self-seeking because we want to be better than our “competition” in this hunter-gatherer society. For additional insight please take a look at the short video attached below. It is all very basic and relative, and common sense – but then again if common sense was so common I don’t think it would be taught at the collegiate level. Schneider, F., Gruman, J., Coutts, L. (2012). Applied Social Psychology: Understanding and Addressing Social and Practical Problems (2nd ed.). Los Angeles: Sage. Participatory Action Research: Good or Bad? 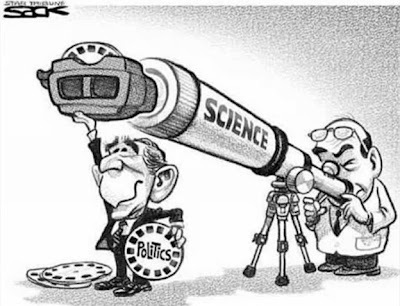 Should politics and research mix? Should the power of a research study be deliberately equal between the researcher and participants? Should the participants have a say in what they would like to see happen? Should the research participants be actively engaged in the research process? Many researchers say no because they feel there may be hidden agendas in this type of research. Many believe the researcher may become biased, or may have stake in the topic being researched, however Participatory Action Research does exist, and does engage in the above mentioned research methods. Participatory Action Research (PAR) is not one of the typical research methods. In fact it is far from being the ideal method for research and many researchers cringe at the thought of using PAR. PAR is different from other research methods because it involves persons that are directly affected by the problem in the research being conducted through finding facts, taking action, and using reflection that ultimately leads to a need for further inquiry and action to change (Minkler, 2000). Despite the negatives associated with PAR, it has been successful in many cases. One particular case took place in the 1990s in an urban neighborhood in California (West Contra Costa County) that was a host of multiple problems (unemployment, HIV/AIDS, violence, toxic waste, etc. ), the Healthy Neighborhoods Project (HNP) was formed (Minkler, 2000). This projected forged together local residents, community-based organizations, the local health department, and other partners in order to capitalize and build on assets of other specific programs that have developed long-term mechanisms for community development (Minkler, 2000). The HNP program produced rather impressive results in the way of reducing safety risks, improved access to education, reduced toxic waste, reduced community tensions and planned long-term violence prevention, residents have a voice with city and regional decision making, and residents have remained active in evaluations of the project (Minkler, 2000). Given the successes that PAR can have, I think PAR can be useful and resourceful for social change and can aid in helping to develop and create community strength. I do understand the concerns of other researchers, but if the PAR researchers remain true to the cause to help their communities, I believe PARs can and will continue to have a strong impact in helping build and strengthen the communities they are working hand-in-hand with. Minkler, M. (2000). Using Participatory Action Research to Build Healthy Communities. Public Health Reports. Recycling is thought to be a good way to convert old things into new things, and therefore save the environment from the accumulation of excessive solid waste. 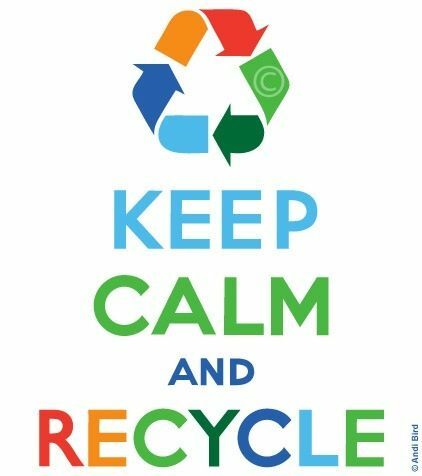 Recycling is also supposed to reduce pollution, reduce the amount of solid waste in landfills, and conserve valuable raw materials (i.e. paper, plastic, etc.). By recycling, there should be less demand for new products to be produced, which could save energy and money. The negative consequences of not recycling could certainly be perceived as a problem worthy of social intervention. People have a tendency to go along with the group, and to follow the group’s norms. If you believe recycling is good because you’ve heard that recycling is a good thing, and you therefore believe recycling is what you “ought” to do, then you are following what is called an “injunctive norm” (Cialdini, Kallgren & Reno, 1991). If you recycle because you see other people recycle, and therefore you think it must be the sensible thing to do, then you are following what Cialdini et al. (1991) term a “descriptive norm.” Cialdini et. al (1991) assert that injunctive and descriptive norms “are conceptually and motivationally distinct, and it is important for a proper understanding of normative influence to keep them separate, especially in situations where both are acting simultaneously.” Essentially, the social psychologist must be aware that in order to effectively utilize social norms to achieve an effect, he/she must understand that both types of norms must be emphasized in compatible, non-contradictory ways. People believe what they hear, and people also believe what they see. The two messages should be consistent, and mutually reinforcing. “..conformity to a norm will increase as strength and immediacy increase” (Aronson, et al, 2010, p232). If the group is important, and we are around that group often, then the normative influence of the group will be strongest. Understanding the power of norms, and taking into consideration Latane’s social impact theory, perhaps it is possible to develop an applied social psychology intervention to increase people’s willingness to recycle by using social messaging to impress on the family group the importance of recycling. Using Latane’s theory, it would be probably more effective to appeal to the family and community groups first and foremost in our intervention. A message to enforce the injunctive norm could be that recycling is a good thing that protects our community, and also provides value to the family and community by saving us money and energy. Advertisements showing reduced family power bills as a result of recycling could be placed around the community. To reinforce the descriptive norms, the advertisement could show a family, or other small group participating in recycling activities. This imagery will hopefully be modeled by the viewers, and therefore promote recycling amongst the group. Children could receive this type of education in school, which might further promulgate the message in the family unit, which should mean according to Latane’s theory, that the pro-recycling norm will be more powerfully received. Recycling rates could be measure pre- and post-intervention to determine the effectiveness of the intervention. Additionally, pre- and post-intervention self-report measures could be used to ascertain the willingness of participants to participate in recycling initiative, and to ascertain pro-recycling attitudes. 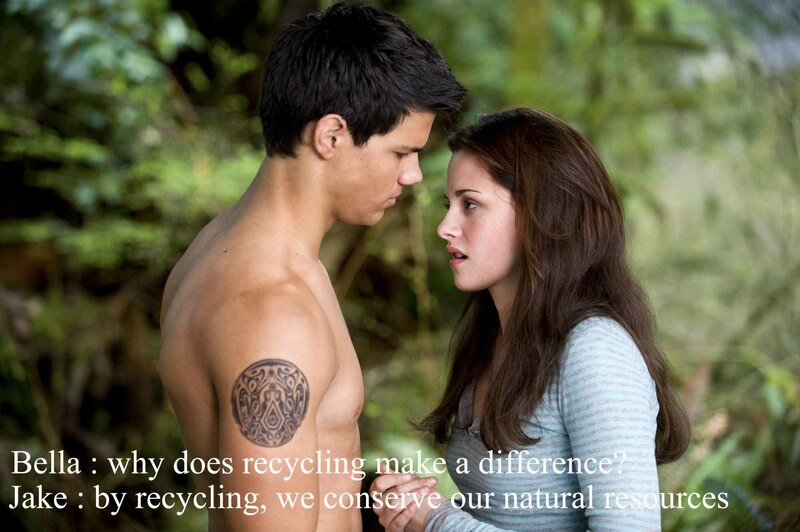 It is clear that recycling is a good way to help the environment and to save valuable natural resources. Hopefully, applied social psychology interventions like the one proposed above could make a positive difference towards increasing recycling behaviors nationwide. Aronson, E., Wilson, T.D., & Akert, A.M. (2010). Normative Social Influence: The Need to Be Accepted. Social Psychology (7th ed.). Upper Saddle River, NJ: Prentice Hall. Cialdini, R. B., Kallgren, C. A., & Reno, R. R. (1991). A focus theory of normative conduct: a theoretical refinement and reevaluation of the role of norms in human behavior. Advances in Experimental Social Psychology, 24; 201–234. Latane, B. (1981). The psychology of social impact. American Psychologist. 36: 343-356. “Welcome to (insert business here)” “Can I help you find anything?” “How are you today?” were just a few of the greetings I heard while Black Friday shopping this weekend. These are often the different sales tactics that associates use to gain your attention and influence you towards buying- and hopefully buying more than you intended in the first place. I choose to ignore the greetings of sales associates for fear that they will weasel me out of my money, that I will look stupid, or just because they are plain weird. Unfortunately, within my span of shopping there was a time that I had no idea where the item was I needed and I had to ask for help. I scanned up and down the aisles of the store for a sales associate that did not look too busy. Due to the fact that I was in Wal-Mart at the time, some stereotypical Wal-Mart employees passed by. For those who are unaware of the stereotype, those who work at Wal-Mart are perceived as foul looking and smelling. They are unkind and very strange. Above all, Wal-Mart employees are not people to be interacted with unless necessary. Being the shy, small girl that I am, I was weary of receiving assistance from an associate that was unattractive and fit the stereotype. Unconsciously I knew that I wanted help from an associate that was attractive because I thought that they would be kind and helpful. What I did not know what that along with the Wal-Mart employee stereotype, I was also using the physical attractiveness stereotype by assuming that “a physically attractive person has positive qualities while unattractive people have negative qualities” (Schnieder, Gruman & Coutts, 2012, p. 357). To go further, the associate that I found to help me was in her late thirties and had a “mother” appearance to her. That is to say that she appeared kind and polite, while also looking like she took care of herself and was a respectable woman. It turns out that she had been awake since 5pm the night before and was very upset to be there. She was very short and rude to me. My stereotype did not come true. In fact, I formed a new stereotype that all associates working Black Friday are grouchy and rude. Schneider, F., Gruman, J., & Coutts, L. (2012). Applying Social Psychology to Personal Relationships. In Applied Social Psychology (Second ed., pp. 357). New Delhi: SAGE Publications. According to the U.S. Department of Veterans Affairs (VA), about 7-8% of the U.S. population will have Post Traumatic Stress Syndrome (PTSD) at some point in their lives. Although many more people go through some sort of trauma, approximately 5.2 million adults develop PTSD during any given year (VA, n.d.). 5.2 million is no small number, and clearly presents a problem worthy of discussion, and consideration for an applied social psychology intervention. 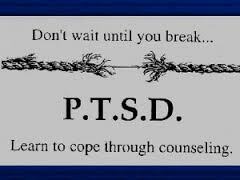 Since many of these PTSD sufferers are military service members who suffer from combat related stress, this population seems like a good place to start. The VA posits that cognitive behavioral therapy has been shown to be the most effective type of psychological counseling for PTSD. The VA currently provides two types of cognitive behavior therapy to Veterans with PTSD: Cognitive Processing Therapy (CPT) and Prolonged Exposure (PE) therapy. 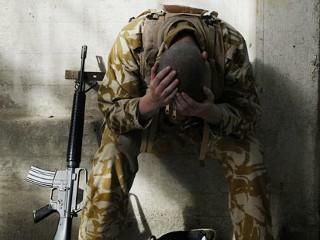 PTSD sufferers often struggle with their memories about the traumatic events they witnessed. These persistent negative cognitions about the trauma can seriously affect the way PTSD sufferers act, and how they live their lives. CPT is intended to give sufferers new ways to understand the trauma they endured. By helping them become aware of their thoughts, feelings, and behaviors, practitioners have found PTSD patients find some relief from their symptoms. CPT also provides learning skills to help them process and deal with their negative thoughts. Therefore, CPT might be an effective technique to reduce PTSD symptomology in patients. Prior to developing an applied social psychology intervention to help PTSD sufferers, it would be helpful to first have a basic understanding how Cognitive Processing Therapy works. Resick & Schnicke (1992) described that a theoretical underpinning of CPT is the information processing theory (IPT). They described IPT as the “process by which information is encoded, stored in memory, and recalled.” IPT-related research on PTSD (Lang, 1977) indicated, “information is stored in fear networks that consist of stimuli, responses, and the meanings of the stimulus and response elements. The network is viewed as a program to stimulate avoidance behavior.” Other research found that “fear reactions emanated from an appraisal of threat”, and that even ambiguous threat stimuli could trigger fight-or-flight responses (Beck & Emory, 1985). Additional volumes of research support the idea that the way PTSD patients process traumatic threat information affects how they subsequently think and behave. Basically, this research all points to the possibility that changing faulty cognitions can lead to positive change in PTSD symptomology. Perhaps this is why the VA website contends that cognitive behavioral therapies are considered to be so effective. PTSD researchers, Resick, Monson, & Chard (2008) developed a CPT training manual for mental health practitioners and PTSD patients as a response to numerous research studies indicating the efficacy of CPT (e.g. Resick & Schnike, 1992). The CPT training manual seeks to change the thoughts and behaviors of PTSD patients through education, self-evaluation, and skills practice. Resick (2001), one of the manual’s authors has studied PTSD extensively, and believes “the etiology of PTSD can be addressed, leading to a potential “cure” to the condition.” However, the manual was intended to be utilized in face-to-face therapy sessions, and unfortunately, not all PTSD patients will take advantage of this type of face-to-face therapy due to fear of being labeled as mentally unfit. For this reason, a possible way to successfully implement a PTSD intervention could be to utilize the Resick et al. (2008) training on the Internet. Using the Internet would ensure anonymity, and would allow the sufferer to participate in therapy at his or her own convenience. Perhaps even an online chat forum could be used to supplement the training. Advertisement in newspapers like the Stars and Stripes, Military Times, and other service-specific news outlets could successfully advertise this kind of intervention. Anonymous pre- and post-intervention self-report surveys could be used to assess PTSD symptomology using a reliable PTSD assessment measure to determine efficacy. To reduce potential drop-out rates, perhaps some sort of incentive could be also used to encourage sufferers to stay in the intervention. Even if this intervention were only moderately effective at changing PTSD patients’ cognitions, perhaps it could still bring hope and comfort to some sufferers, and allow others to have a better understanding of the potential benefits of therapy. Beck, A. T, & Emery, G. (1985). Anxiety disorders and phobias: A cognitive perspective. New York: Basic Books. Lang, P. J. (1977). Imagery in therapy: An information processing analysis of fear. Behavior Therapy, 8, 862–886. Resick, P. A. (2001). Cognitive therapy for posttraumatic stress disorder. Journal of Cognitive Psychotherapy: An International Quarterly, 15: 321–329. Resick, P.A., Monson, C.M., & Chard, K.M. (2008). Cognitive processing therapy: Veteran/military version. Washington, DC: Department of Veterans’ Affairs. Resick, P. A., & Schnicke, M. K. (1992). Cognitive processing therapy for sexual assault victims. Journal of Consulting and Clinical Psychology, 60: 748–756. “[w]hen good leadership is in place in a company, it can be felt throughout the entire organization…[t]he result of good leadership is high morale, good employee retention, and sustainable long-term success” (Anderson, 2013). “[b]ad leadership can also be felt throughout the entire organization – only not in a good way. Corporate culture becomes a meaningless term where leaders claim it exists while employees shake their heads in frustration” (Anderson, 2013). Good leadership is vitally important in the military too. If military leaders make mistakes, they don’t just lose money, they can lose lives. The U.S. military has also recognized that bad leadership cannot be tolerated, and has coined the term “toxic leadership” to describe the effects of bad leaders. Know your Marines and look out for their welfare. Train your Marines as a team. Dependability – The certainty of proper performance of duty. Bearing – Creating a favorable impression in carriage, appearance and personal conduct at all times. Courage – The mental quality that recognizes fear of danger or criticism, but enables a man to proceed in the face of it with calmness and firmness. Decisiveness – Ability to make decisions promptly and to announce them in clear, forceful manner. Endurance – The mental and physical stamina measured by the ability to withstand pain, fatigue, stress and hardship. Enthusiasm – The display of sincere interest and exuberance in the performance of duty. Initiative – Taking action in the absence of orders. Integrity – Uprightness of character and soundness of moral principles; includes the qualities of truthfulness and honesty. Judgment – The ability to weigh facts and possible solutions on which to base sound decisions. Justice – Giving reward and punishment according to merits of the case in question. The ability to administer a system of rewards and punishments impartially and consistently. Knowledge – Understanding of a science or an art. The range of one’s information, including professional knowledge and an understanding of your Marines. Tact – The ability to deal with others without creating offense. Unselfishness – Avoidance of providing for one’s own comfort and personal advancement at the expense of others. Loyalty – The quality of faithfulness to country, the Corps, the unit, to one’s seniors, subordinates and peers. This “indoctrination” might be the reason the Marine Corps leadership is more effective than its sister services. We learned these principles and traits by heart, and had to recite them in order to be promoted to leadership positions. We learned the traits using the mnemonic “JJ-DID-TIEBUCKLE.” Psychologists have found that using the techniques of chunking, priming, and active-learning help to solidify these kinds of concepts (Bodie, Powers, & Fitch-Houser, 2006). The Marine Corps education process uses those techniques. 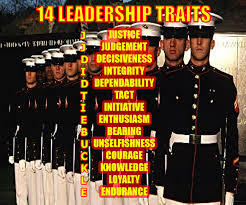 USMC-taught principles and traits also inculcate the “four factors that cover the components of authentic leadership” as described by Avolio et al. (2009): balanced processing, internalized moral perspective, relational transparency, and self-awareness. The way the USMC indoctrinates these leadership lessons also clearly demonstrates to me the value of applied social psychology interventions to change, and hopefully improve leadership behavior. 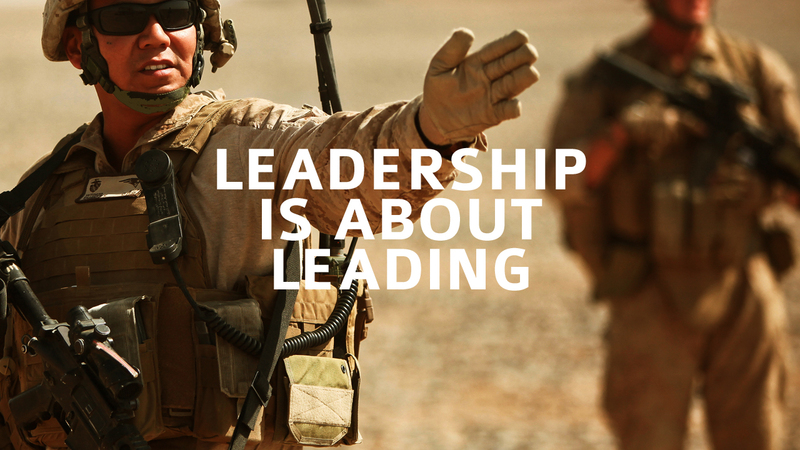 The USMC indoctrination process also underscores the concept that although some people believe real leaders are born to be leaders – there are some positive leadership traits people are born with – much of what a leader needs to be a good leader can be learned. “Preliminary evidence using a behavioral genetics approach has shown that approximately 30 percent of the variation in leadership style and emergence was accounted for by heritability; the remaining variation was attributed to differences in environmental factors such as individuals having different role models and early opportunities for leadership development” (Arvey, Zhang, Avolio, & Krueger, 2007). 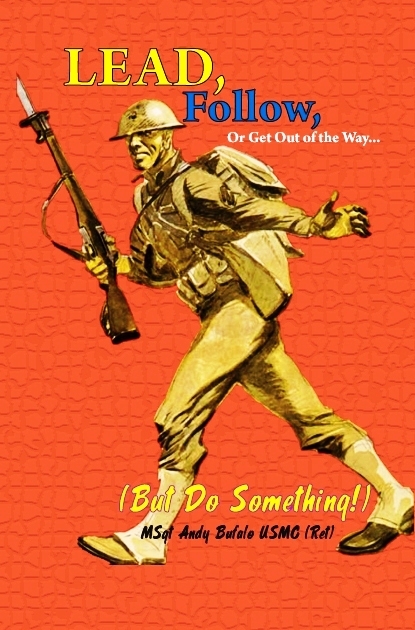 Lastly, although it is important to learn to be a good leader, it is just as important to learn to be a good follower. The success of any good team relies on synergy. In other words, a good leader can’t be successful without the efforts of his/her team. Researchers have “proposed a social constructionist theory to describe the relationship between leadership and followership. 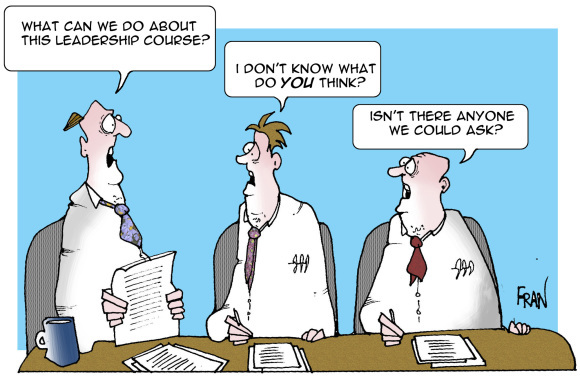 They argued that leadership is significantly affected by the way followers construct their understanding of the leader in terms of their interpretation of his or her personality, behaviors, and effectiveness” (Avolio, Walumbwa, & Weber, 2009). Leadership is incredibly important, and we need to have good leaders to make society function. People can learn to become good and authentic leaders over time with the right instruction. Well designed and implemented applied social psychology interventions (like the USMC model) can make this possible. Bodie, G., Powers, W. & Fitch-Hauser, M. (2006). Chunking, Priming and Active Learning: Toward an innovative and blended approach to teaching communication-related skills. Interactive Learning Environments. 14,2: 119-135. Grandey, A. A., Fiske, G. M., Mattila, A. S., Jansen, K .J., & Sideman, L. A. (2005). Is “service with a smile” enough? Authenticity of positive displays during service encounters. Organizational Behavior and Human Decision Processes, 96: 38-55. Kernis, M. (2003). Toward a conceptualization of optimal self-esteem. Psychological Inquiry. 14: 1-26. Luthans, F., & Avolio, B. (2003). Authentic leadership development. In K. S. Cameron, J. E. Dutton, & R. E. Quinn (Eds. ), Positive organizational scholarship: 241-258. San Francisco: Berrett-Koehler. The desire for truth and justice are core principles that inspired the writing of our country’s founding doctrine. Five of the ten Amendments in the Constitution’s Bill of Rights were specifically dedicated to ensure U.S. citizens enjoyed strong legal protections. Because our Republic was based on the Rule of Law, the Founders wanted to ensure all people, regardless of status, had equal protection under the law. Unfortunately, there are times when the legal system does not function as well as it was intended. There are many examples of flawed justice, however, one of the most egregious is when innocent people are convicted of crimes they did not commit. Why does this happen, and what can we do to stop it? A recurring problem that plagues the legal system is inaccurate eyewitness testimony. Wells & Olson (2003) says the “criminal justice system relies heavily on eyewitness identification for investigating and prosecuting crimes.” The use of eyewitness testimony makes sense from an investigative and prosecutorial perspective. After all, if someone legitimately saw a crime being committed, then that testimony should be admissible, and considered solid evidence. 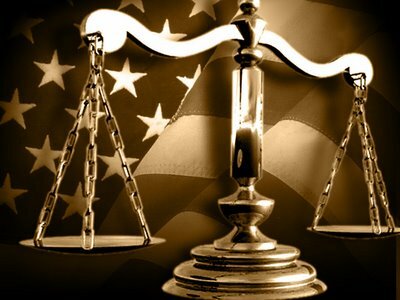 “juries don’t understand the many factors that can influence a witness’s ability to accurately identify a suspect, including how much stress a witness is under, whether a weapon is present, the amount of time a witness had to look at the person, the lighting present at the time, how long it’s been since someone first witnessed the crime or suggestions of guilt by police.” (Azar, 2011). 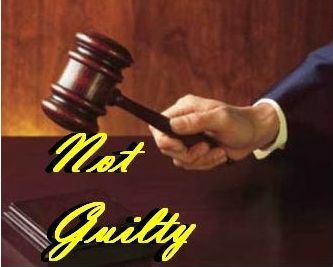 If jury members are swayed by flawed eyewitness testimony, and decide guilt based on it, then the remainder might go along as well (Asch, 1951). That is a potentially dangerous situation for an innocent person to confront. Zak Stambor (2006) discussed the dangers of relying on eyewitness testimony in an article where he says that mistaken identification was “cited as a factor in nearly 78 percent of the nation’s first 130 convictions later overturned by DNA testing.” Even simple changes in appearance, like sunglasses or covering the hair, can limit the eyewitness’s ability to accurately identify the correct person. Only recently has the criminal justice system started to take into account these facts, and started to realize something needs to be done. (Wells & Olson, 2003). Identifying the fact that flawed eyewitness testimony may cause a jury to wrongly convicting a defendant should seriously concern the applied social psychology community. Additional research must be conducted by applied social psychologists in order to develop an intervention to address these potential problems. Wells & Olson started to identify some solutions, including suggesting changes in how law enforcement conduct line-ups of potential criminal suspects. Perhaps interventions could also include some procedure to cognitively prime jury members to the potential pitfalls of eyewitness testimony. This could be accomplished by using cognitive dissonance when preparing the jury for duty. They could be asked if they would be impartial and unbiased, and give them statistics about false convictions based on faulty testimony. Additionally, they should be shown the Asch experiment video to immunize them from the possibility that one juror might weigh eyewitness testimony too heavily. The APA is taking steps to promulgate the idea that eyewitness testimony has its drawbacks (i.e. the case mentioned above); but clearly much more needs to be done to ensure fairness, and compliance with the 6th Amendment. The intervention could be applied on a small scale in select jurisdictions to test the theory. Evaluation of the efficacy and effectiveness of the intervention would take an extended period of time (in order to get enough data to make reasonable conclusions.) This could be accomplished through pre- and post-intervention self-report measures to ascertain juror awareness of potential biases. Additionally, future statistics could be gathered to compare the percentage of cases overturned on appeal versus past cases (where the defendant was found to be actually guilty.) Although these evaluation measures might not be particularly effective; at the very least, this intervention may enlighten jurors to potential pitfalls in the system, and help innocent defendants go free. Marshall, J. (1963). 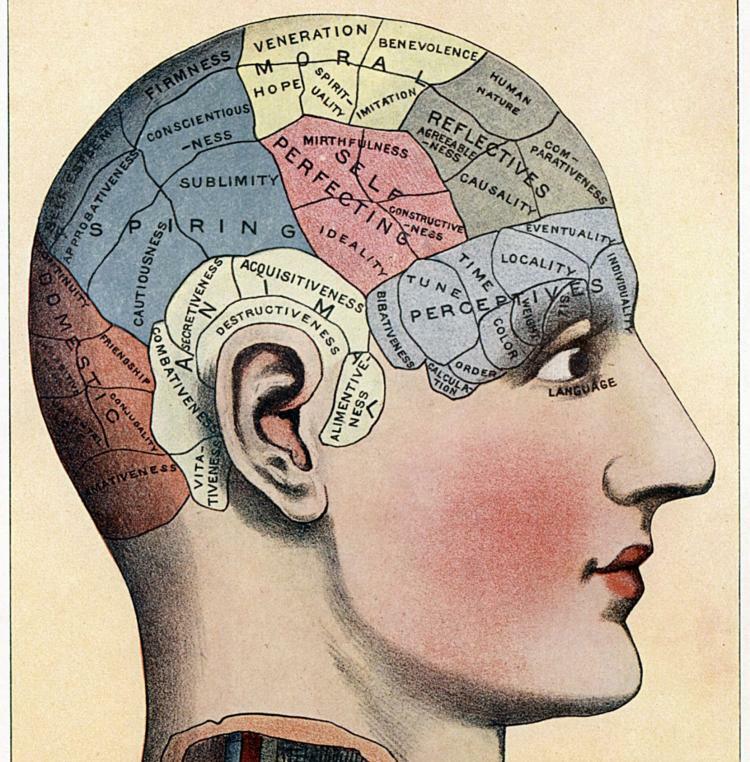 Evidence, Psychology, and the Trial: Some Challenges to the Law. Columbia Law Review. 63:2, 197-231. The recent events in Ferguson, Missouri show how important it is to solve America’s problem with racism. Racist attitudes and behavior are counter to American ideals, and our Constitutional principle of social equality. However, in order to stop the problem of racism, we must first understand what it is, and why it has been perpetuated for so long in our country. In late November 2014, after a lengthy deliberation, a Missouri grand jury decided not to indict a white policeman for the murder of 18 year-old Michael Brown, a black man who had been killed by Ferguson police officer Darren Wilson during a police stop. The grand jury came to their decision based on evaluation of evidence, which they felt was insufficient to prove the police officer negligently killed the man. On a daily basis prior to the grand jury decision, U.S. media outlets consistently reported the theme that Officer Wilson may have killed the man for racial reasons – in other words: simply because Brown was a black man. Various news stories hurled accusations of racism and police brutality, with very little reporting to counter those assertions. This type of biased reporting seems to be the rule in America. Because of this media bias, many legal scholars were surprised by the fairness of the grand-jury process, and the ultimate decision to not indict despite the seemingly overwhelming pressure to do so (Howell, 2014). 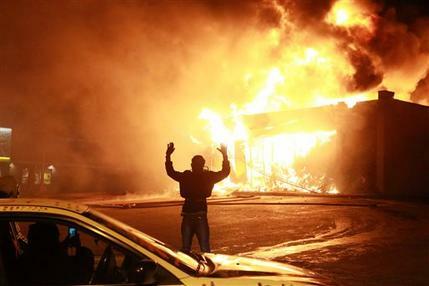 After the grand jury decision, angry black citizens took to the streets to protest and riot. Original stories suggested Brown had been gunned down while his hands were raised in surrender. So-called “civil rights” advocates like Rev. Al Sharpton, promoted this racist angle. However, subsequent information revealed “eyewitness” accounts of that version of the event were fabricated, and other evidence suggested Brown had attacked the officer (Lieb & Mohr, 2014). Despite the evidence that Wilson had not negligently gunned-down Brown, some protesters maintained the racial theme. “This is not about one boy getting shot in the street, but about the hundreds just like him who have received the same callous and racially-influenced treatment,” said Oakland, California, protester Gabe Johnson, a middle school teacher. “So ultimately, no, it doesn’t matter at all if somehow we can say for sure whether this one young man really said these words [of surrender] or had his hands up” (Lieb & Mohr, 2014). So why did these people continue to push a racial agenda, even when they were presented evidence to the contrary? Why did people continue to focus on racial differences despite the compelling social need to heal the racial divide? Are our thoughts about racism informed by inaccurate facts and media bias? The answers to those questions might reside in how people are taught to define and prejudice, bigotry, and racism. Additionally, research based on Festinger’s (1954) social comparison theory might offer insights into why subscribe to negative racial themes, and unwittingly use biased information to make their judgments about others. Defining the terms we would use in a social psychology intervention to reduce racism is very important to coming to a collective understanding of the race problem in America, so therefore I attempt to do that here. According to individual-rights advocate and author Walter Hudson (2012), prejudice, bigotry, and racism have distinct meanings, and should not be used interchangeably. Prejudice – or pre-judgment – is something we all use to protect ourselves from harm and danger. We tend to make assumptions about people or situations based on our own limited (and sometimes flawed) experience or learning. For example we “rationally inculcate [prejudice] in our children” when we tell them to watch out for strangers. We know that all strangers aren’t bad, but we tell our children to watch out nonetheless because some strangers will hurt children. Hudson (who happens to be black) says, “[h]ow a person looks is one of the first and most effective means by which we determine them to be strange.” Similarly, when a woman walks down a dark alley, and sees shifty looking men congregating there, she will undoubtedly use her prejudice to make a snap judgment as to whether those men might be dangerous or not. There is not necessarily a racial component to prejudice, and to say someone who is prejudiced is also racist is not accurate. The real lesson here is that we learn from a young age to discern differences. What we teach our children about those differences can be crucial to how they view their world vis-à-vis racism. Further, bigotry can be defined as “the irrational maintenance of a prejudice in light of evidence to the contrary. Bigotry can be informed by a multitude of factors, of which race is only one. Racism is what we call bigotry informed by race” (Hudson, 2012). Hudson believes that “[t]hese distinctions are important in any intellectually honest discussion of race relations. When prejudice, bigotry, and racism are used interchangeably, it is evidence that the discussion is not honest” (Hudson, 2012). It is clear that the media and academia does not always engage in honest discussion with our society, and they often skew the facts to further an agenda. This is clearly evidenced in concepts such as “white privilege,” the suggestion that only whites can be racist, or the belief that a necessary component of racism requires a defined power structure. Certainly, a majority can discriminate against a minority, but Hudson contends, “[t]he notion of “white privilege” is itself a racist sentiment. To assume that all whites have an inherent leg up on the rest of society is as irrational as assuming all blacks are somehow inferior. Indeed, the sentiments are one and the same…” (Hudson, 2012). How we view race is a matter of perception. Our belief of whether or not we are being judged based on our race can affect the way we feel about a situation. A study has shown that “[b]lacks were more likely to attribute negative feedback to prejudice than positive feedback and were more likely to attribute both types of feedback to prejudice when they could be seen by the [evaluator]” (Crocker, Voelkl, Testa, & Major, 1991). This study shows that black people do not attribute negative values to themselves because of their own skin color, but instead because of their belief that white people think badly of them. This cognition is unfortunately taught to children at an early age. 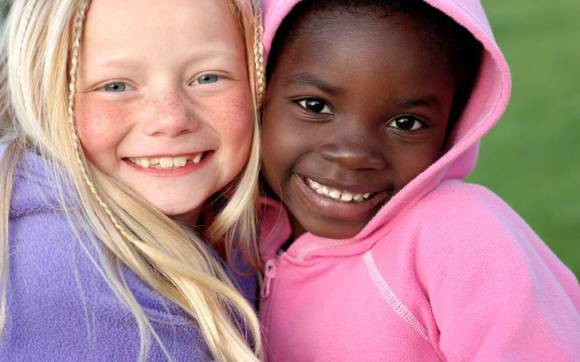 I am not suggesting racism is a figment of a black person’s imagination only – I know white people have done bad things to blacks because of their skin color, and therefore there are some legitimate reasons to have prejudice against whites – I only suggest that a child who learns this bias early on may be substantially more prone to making faulty racial stereotypes than children who are not taught this bias. Festinger’s (1954) social comparison theory postulates that people have a need to make accurate evaluations of themselves, and inevitably compare themselves to other people in making those evaluations. Later work using Festinger’s theory found that people are greatly influenced by their social environment. Studies indicate that when people compare themselves with others of the same race, those comparisons have a greater impact on a person’s behavior and self-esteem than comparisons made with people of different races (Wood, 1989). This seems to show that people closely identify who they are by their own skin color. Once gain, the emphasis on skin color is learned. People define themselves, and the world around them, based on what they see and learn. We do this initially as children when we compare ourselves to others. Some people are more or less intelligent than we are, and we notice. We perceive that others are stronger or prettier than we are. We notice that some people have different skin color than we have. We categorize all these attributes, and decide what those things mean based on our experience and learning. If we are taught that all white people think they are better than us, then what how does that affect us? If we are told that all white police officers shoot innocent black kids, then how does that affect our worldview, and our understanding of racism? With this in mind, it seems the only way we can reduce racism is to deliberately re-frame our children’s understanding of the relative insignificance of skin color in defining who each of us are as individuals. This will mean we have to stop placing such an emphasis on race in every aspect of our society. We have to move towards a more “color-blind” society by removing racial tags and identifiers on official documents. 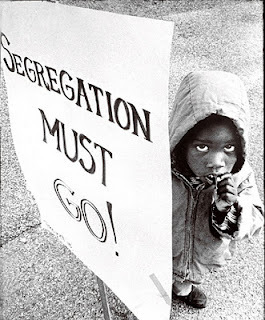 We have to eliminate cultural segregation, and stop defining ourselves by homogenous racial groups. We have to stop using accusations of racism so loosely – not all discrimination is due to the color of a person’s skin. We have to stop treating others differently because they look differently than us. Until we do all these things (and more), and teach our children to do the same, racism will certainly continue to be a problem for decades to come. Wood, J. (1989). Theory and Research Concerning Social Comparisons of Personal Attributes. Psychological Bulletin. 106:2. 231-248.
admit, myself very much included. Let me ask you another question. Do you ever say to yourself, “that person is probably on their way to the hospital,” or “they must be late to work today.” I’m guessing you don’t say those types of things nearly as often as the first, if ever. This is actually an example of a social psychology phenomenon called the fundamental attribution error. The fundamental attribution error is the tendency to make an internal attribution when it comes to someone else’s behavior instead of attributing their behavior to the situation (Schneider, Gruman, & Coutts, 2012, pg 76). There is also a tendency to attribute one’s own behavior to external causes and not internal (Schneider, Gruman, & Coutts, 2012, pg 76). Let’s take another look at the situation again using the fundamental attribution error. When you get cutoff and call someone an idiot, that is an internal attribution. They cut you off because they lack the intelligence necessary to drive a car correctly. A lack of intelligence is an internal attribution. Something inherent in their personality caused them to behave in a certain way. If your inner voice tells you that the person is on their way to the hospital, that is a situational attribution. The person cut you off because of the situation they were put in. There is also the other part to the fundamental attribution error. There is a tendency to attribute your behavior to external causes and not internal. To examine this aspect of the fundamental attribution error, let’s swap the roles in our story. 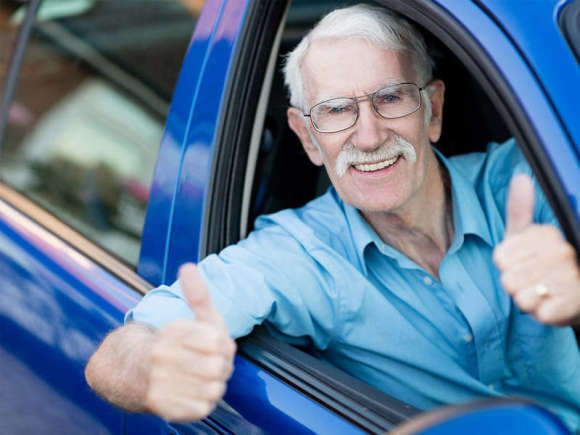 You cut someone off in traffic on your way to work. You then say, “OH! 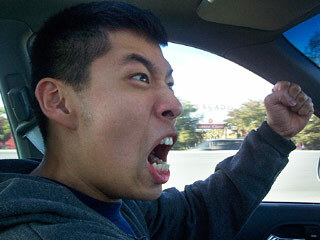 They were in my blind spot!” In other words, your car blocked the view of traffic and caused your behavior. You have likely committed the fundamental attribution error again. When you attribute your behavior to an external cause (your car) and not to an internal cause this could be another example of the fundamental attribution error. The last thing I will say from this example is next time someone cuts you off; remember that it could be the situation. And when we use our knowledge of social psychology to improve our everyday situation, it is a personal intervention (Schneider, Gruman, & Coutts, 2012, pg 62) and it is a valuable tool in life. It may stop you from getting so angry and it may make you a bit more forgiving (it continues to help me). After all, you might cut somebody off too if you were on the way to the hospital because of an emergency.